There is nothing better than a home cooked meal. And even better than that is cooking the meal for the ones you love. 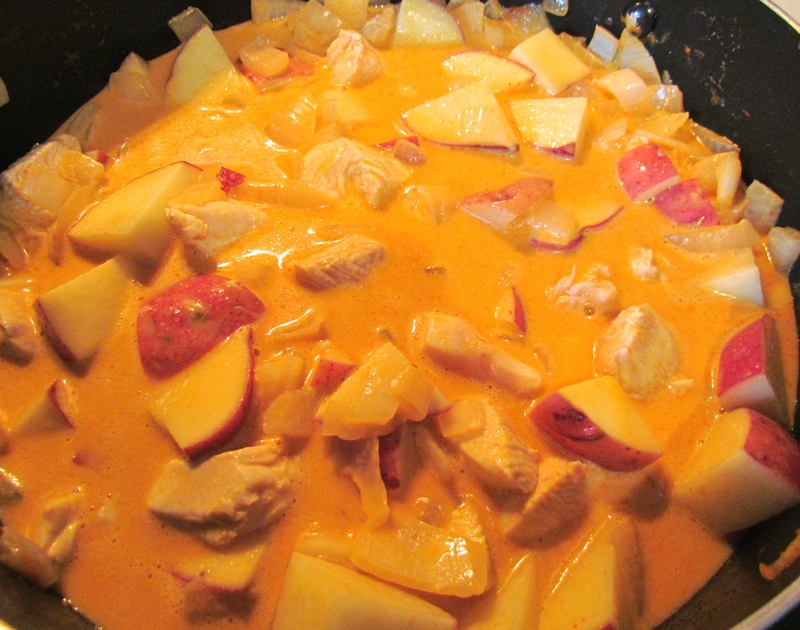 One of my sons favorite dishes is Thai Red Chicken Curry, actually, he just likes any type of curry so I vary between, Massaman Curry, Thai Green Curry, Korma’s, etc….. love them all. 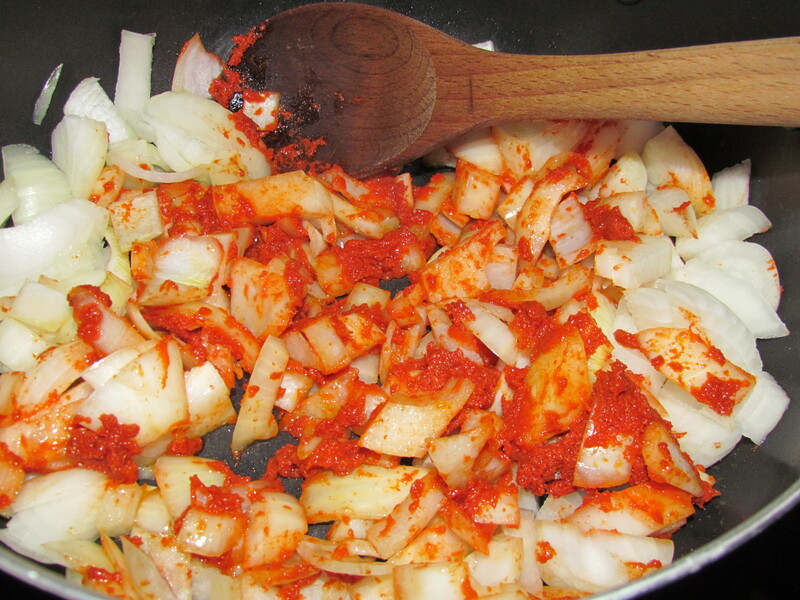 So for tomorrow night my aromatic Thai Red Chicken curry is in the making. I always love making them a day ahead because I think they taste better the next day. 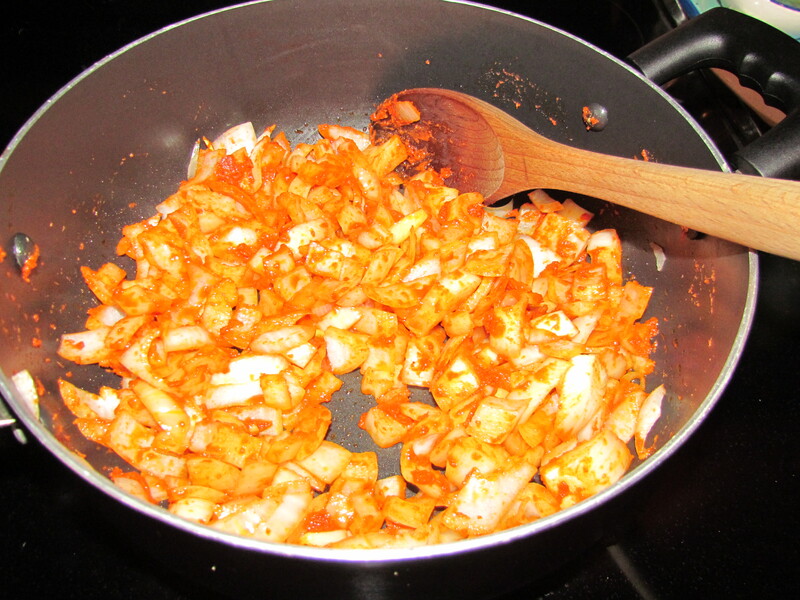 In a medium sauce pan, sauté the chopped onions in a little bit of olive oil together with the Thai Red Curry Paste. 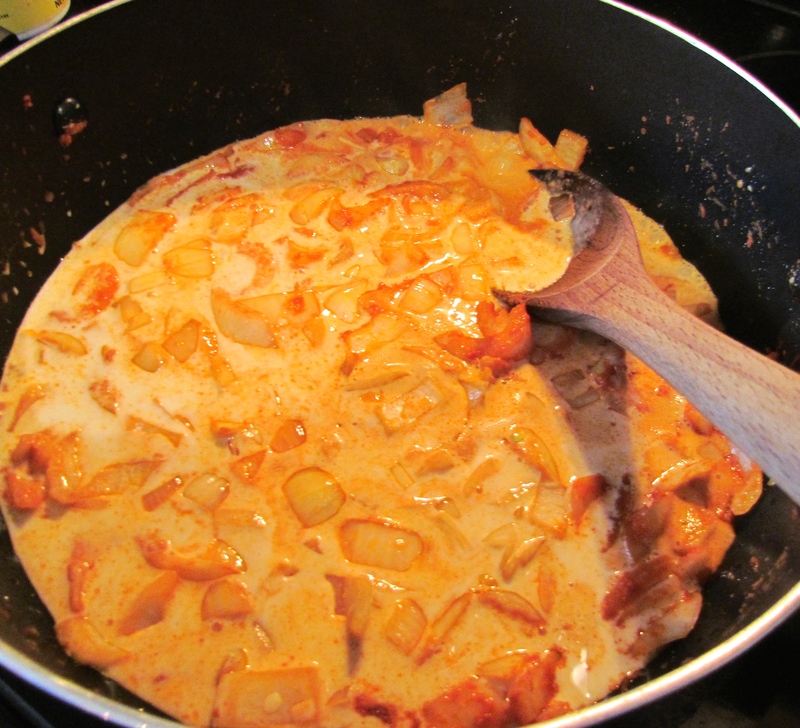 Then add the can of coconut milk and the brown sugar and bring to a simmer. Add the chopped chicken and potatoes and the Kaffir Lime Leaves. Lower the heat, cover with lid and let it simmer away until the potatoes are fully cooked. As I said, curry’s always taste better the next day! I also love making this same recipe without the chicken and adding a bunch of veggies for a delightful Red Thai Vegetarian Curry! Prev Andy’s Greek Salad Wrap…..